MIAMI (January 11, 2016) -- Carnival Cruise Line took top honors in two categories in USA Today’s 10Best Readers’ Choice Awards, earning accolades for “Best Cruise Line” and “Best Cruise Ship For Dining” (Carnival Breeze). 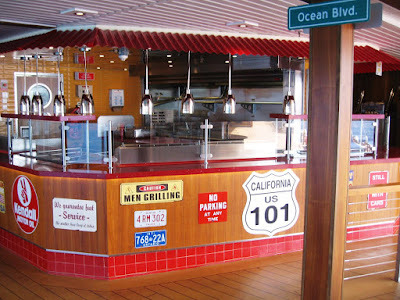 “Receiving this recognition is a wonderful validation of all the hard work our shipboard and shoreside teams put into providing our guests with fun, memorable vacations, which, of course, includes offering an array of delicious dining choices that are considered a highlight of a Carnival cruise,” said Christine Duffy, Carnival’s president. “We would also like to thank our valued travel agent partners for their support in sharing the myriad benefits and exceptional value of cruise vacations with their clients,” she added. Carnival, a unit of Carnival Corporation & plc (NYSE/LSE: CCL; NYSE: CUK), is "The World's Most Popular Cruise Line®" with 24 ships operating three- to 16-day voyages to The Bahamas, Caribbean, Mexican Riviera, Alaska, Hawaii, Canada, New England, Bermuda, Australia, New Zealand and the Pacific Islands. The company currently has two new 133,500-ton ships on order -- Carnival Vista, set to debut in 2016, and an as-yet-unnamed vessel scheduled to enter service in 2018.